A single trusted online location in Ireland for information on all aspects of Counselling and Psychotherapy. A trusted source of suitably qualified practitioners, across all the Counselling and Psychotherapy professional bodies, for those seeking needing help by providing a validated directory of practitioners. CounsellingandTherapy.com provides a validated directory of practitioners where those seeking help can find an appropriately qualified and accredited Counsellor or Therapist. The provision of trusted, quality resources is central to the mission of CounsellingandTherapy.com. Maura is a qualified Psychotherapist, a graduate of the Tivoli Institute, Dublin and holds a Masters (Hons) in Psychotherapy Studies from Sheffield University, UK. 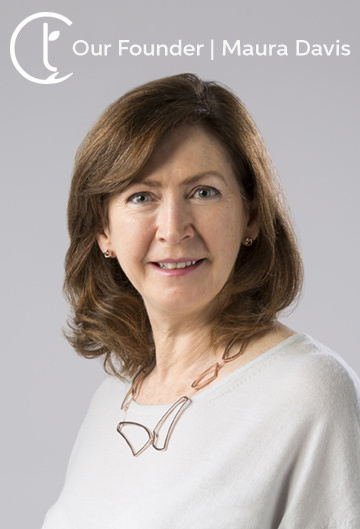 She is a member of the Irish Association for Counselling and Psychotherapy (IACP) and the Irish Association of Humanistic and Integrative Psychotherapy (IAHIP). She has worked in private practice and also with some of the main Irish Employee Assistance Programme providers. She has a background in business and finance management and leadership and also holds a Diploma in Digital Marketing and Strategy.